Ian is a trainer that specializes in Microsoft Excel Business Intelligence tools and Google Data Studio. Ian is an experienced trainer that teaches techniques and tools making it easy for learners to harness the power of Excel PivotTables, PowerPivot, Power Query, Power BI and Google Data Studio. Ian has been training learners on these powerful technologies for over 10 years making it easy for business users to easily create management reports, develop interactive dashboards and generate new insight and intelligence from business data. 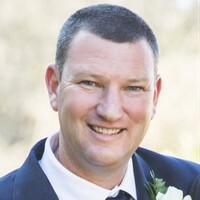 Ian has over 10 years of Management Consulting experience and he brings this knowledge and skills to his training course showing Excel and Google Data Studio users how to easily create sophisticated management reports, perform data analysis and create amazing interactive dashboards without using any complex programming or specialized tools. Ian has consulted and worked with major organizations in the Banking, Insurance, Manufacturing, Telecommunications and Logistics industries across a number of countries and continents.